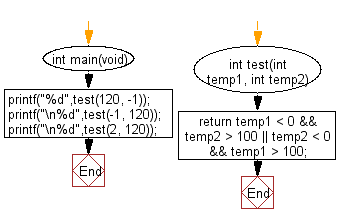 Write a C program to check if one given temperatures is less than 0 and the other is greater than 100. Previous: Write a C program to check if a given positive number is a multiple of 3 or a multiple of 7. Next: Write a C program to check two given integers whether either of them is in the range 100..200 inclusive.